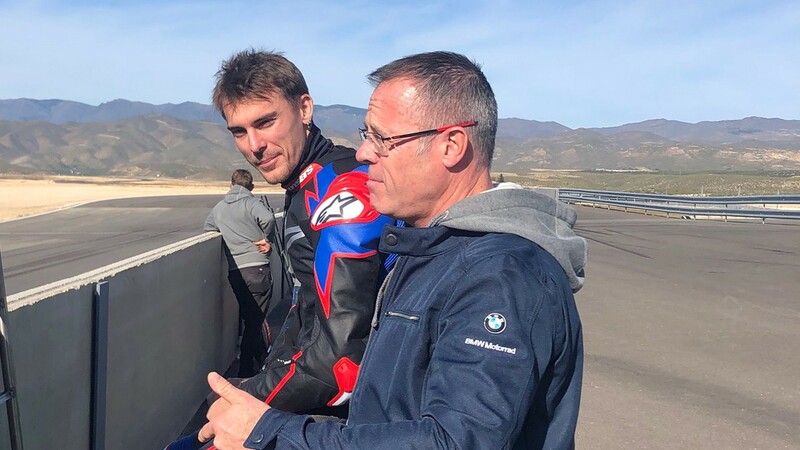 BMW Motorrad WorldSBK team duo share thoughts ahead of Jerez Test about their new season aboard the S1000RR of the German manufacturer. With the 2019 MOTUL FIM Superbike World Championship season set to kick off in Australia in less than a month, riders and teams are all working to get to their first round of the year ready to perform at their very best. The new season will see a lot of new faces, new bikes, but also the return of illustrious names and manufactures, and new strong matches to keep an eye on. Returning to the championship after four years is the German manufacturer BMW. Partnering with the British Shaun Muir Racing team for 2019, the German giant has a successful past in the class and will now be counting on the strong line up of former 2018 STK1000 Champion Markus Reiterberger and WorldSBK veteran Tom Sykes in bringing their new S1000RR out on the field. Following a bad injury suffered at Misano in WorldSBK in 2016, Reiterberger had to take a long break from racing. After a short comeback with the BMW Althea Team in 2017 he then decided to stop again to fully recover, as he was still suffering from the consequences of the accident. Back at his full strength, in 2018 he returned to the WorldSBK paddock contesting in the FIM STK1000 Championship and after a dominant season that welcomed 4 wins and 6 podiums, Reiterberger was able to secure the title and a seat in the WorldSBK class for the 2019 campaign. The German will be sharing the garage with former 2013 WorldSBK champion Tom Sykes that after nearly 10 years competing on the ZX-10RR of the Kawasaki Racing WorldSBK team, he will now head into the new season with a completely new challenge set ahead of him. After a positive first private winter test held in December at Almeria, the new duo will now head into their first winter test session sharing the track with their competitors at Circuito de Jerez from 23rd-24th January and WorldSBK.com asked a few questions to both the two riders ahead of their first outing of the year. 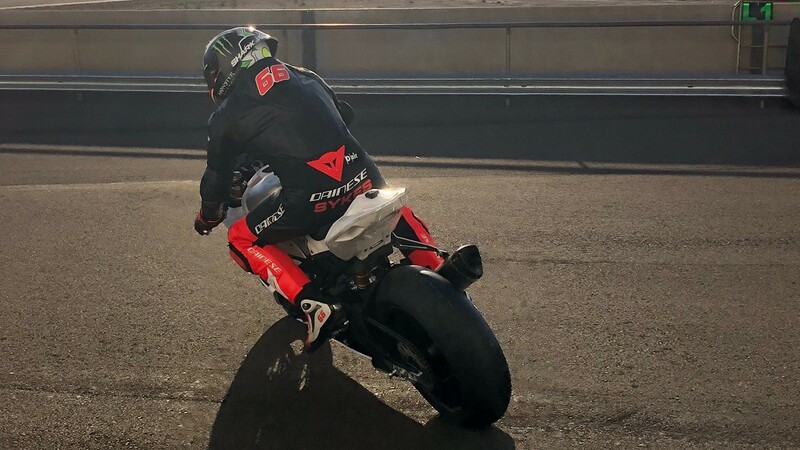 Working not just on their bikes but also in strengthening his body for the new battle, Reiterberger explained how has been keeping himself fit over the winter break: “I am trying to prepare myself for the 2019 season in the best way possible. I am mixing a bit of strength and endurance training, but I am also having a special treatment to the digestive system that Bernd Hiemer (former Supermoto World Champion) had suggested me. I feel fit and prepared as ever before but whether I have achieved my goals or not I would see it in less than a month!”. “So far we had just one test with the BMW S1000RR. It was not much more than a first shakedown to see if everything would have worked the way we were expecting. We didn’t have any crash and we took the opportunity to get acquainted with the new environment as well as get to know each other. I am happy with the way things are going” said Reiterberger. “We had our first test just before the Christmas period and I was impressed, even more so that it was everybody’s first time working with each other and that new parts were still arriving during the test. My first impressions of the S1000RR are very good and I’m very much looking forward to my new challenge and releasing the bike’s full potential” added Sykes. Reiterberger said: “So far, everything went fine, and I can’t complain! I was lucky to be able to take some of my former crewmembers with me, like my long-term mechanic Wolfgang Kampe, or Werner Daemen, who is my manager and riding coach. I have also known the people from BMW for many years, at least the guys from the motorsports division. New to me are the people from SMR (Shaun Muir Racing), but I get along well with them. They know what they are doing, and everything is coming together”. “It has been a really pleasant introduction into my new environment with BMW. It was clear to see that from when we started talking that everybody involved shares the same goals. The Shaun Muir Racing infrastructure is at a very high level so obviously the partnership between BMW and SMR, the “BMW Motorrad WorldSBK Team”, is a very strong one” added Sykes. 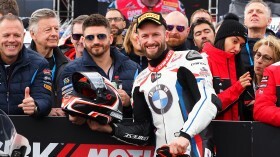 Being crowned 2018 STK1000 champion aboard the STK1000 version of the S1000RR bike, Reiterberger explained his feelings aboard the 2019 SBK®: “The BMW S1000RR is a completely new bike that you can’t compare with the former stock motorcycle. It has more power, more electronic options, a new chassis and so on. Therefore, I have hardly any advantage over my team-mate. We both begin from zero. Maybe my long-term collaboration with BMW is an advantage, but that’s all about it” said the German, who looks forward to testing at Jerez to get an idea of where they stand after having done their first steps together: “There is always a lot to do after the launch of a new motorcycle, for BMW as much as for any other manufacturer. It is too early to predict how much work lies still ahead of us. The next tests will reveal where we’re currently at. The bike is far from ready, but I’m confident that we can reach a high level quite quickly”. On the other side of the garage, Tom Sykes has positive expectations too from the next test, as he declared to have a clear plan in mind for his final preparation before heading down to Australia for the season opener: “Jerez will be the first time we share the track with our competitors but for me that’s no issue. I have a clear plan of what I want to achieve and obviously it’s working on this very new project in preparation for arriving into Australia as strong as we can be. We actually achieved a lot in the last test so it will be basically working on this same plan”. His teammate Reiterberger is also very confident about their development with the new bike as he states his plans for the 2019 season: “It is difficult to predict my chances for 2019. It all depends on my preparation, and then we will see also what our level is in comparison to the others. My package is good, and I am sure it will allow me to fight for strong results. We haven’t set a specific goal yet. I just hope to get through the season without accidents. I will stay calm and try to improve steadily”. Pairing up with veteran Tom Sykes who first joined the WorldSBK paddock in 2008, the 24-year-old commented his relationship with the Briton after their first test at Almeria: “At the first test, everything was positive! Tom is a nice and friendly guy, with this certain touch of craziness for this sport that I have as well, so we are a good match!” said Reiterberger. “I like how open he is and how straightforward he is too. He is also an incredible talent. He is very meticulous, and I’d like to pick his brain for how he prepares for the new season!”. Find out how the new BMW Motorrad WorldSBK team will progress in the next winter tests at Jerez and Portimao, all with the WorldSBK VideoPass. Sykes: "I feel that we will be very competitive!" 2013 WorldSBK Champion is confident of top results at the ‘Cathedral of Speed’ as he looks to BMW more success! Excited Sykes: "I still think we can make a better race!" The grinning Brit had his strongest ride yet and he believes the results are only going to be going one way from this point onwards!